Starting hand guide for no limit holdem 6 max games. 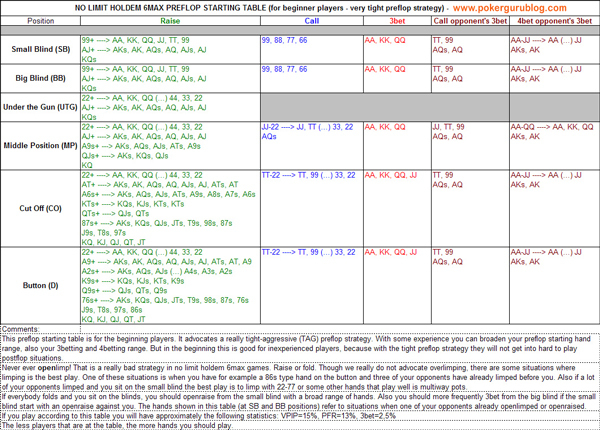 This chart is for beginning players and advocates a really tight-aggressive (TAG) preflop starting hand strategy. With some experience you can broaden your preflop starting hand range, also your 3betting and 4betting range. But in the beginning this is good for inexperienced players, because with this tight preflop strategy they will not get into hard to play postflop situations.